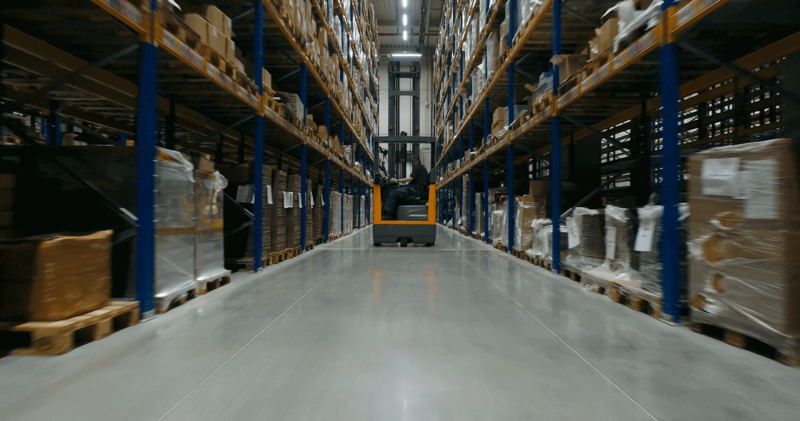 IBS is an integrated logistics provider with innovative solutions for the entire supply chain – from procurement logistics, to order management including invoicing, to product-specific storage, to distribution to retail and end customers on a global scale. 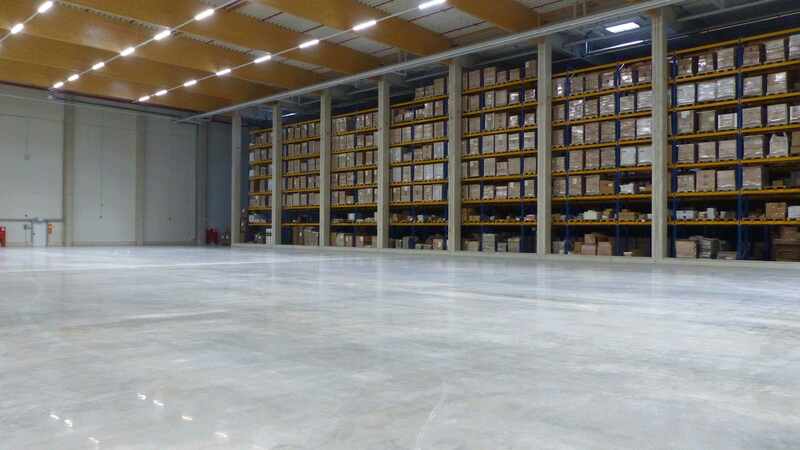 They operate a global distribution centre in Heek, Germany covering 15.000m² with 20.000 storage bays. 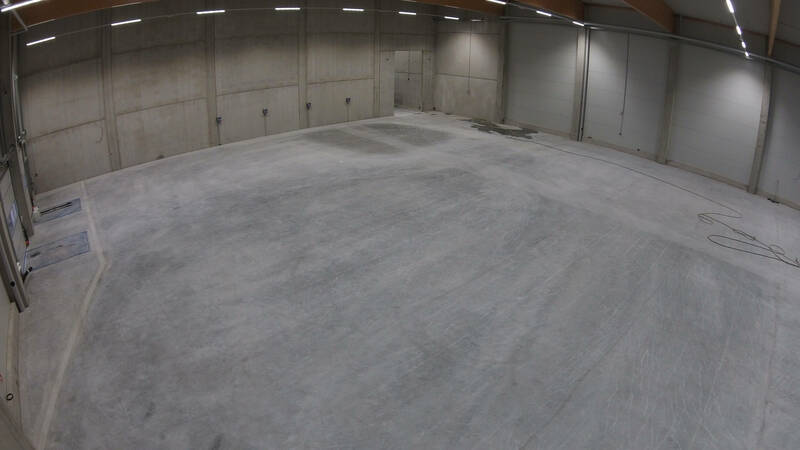 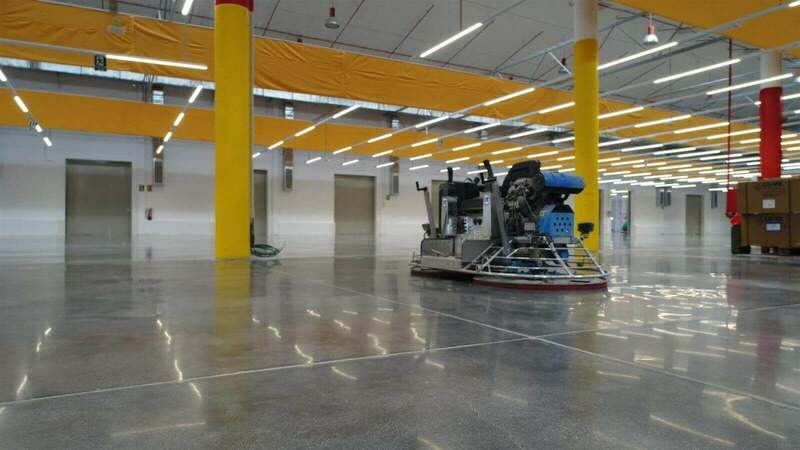 IBS were expanding the successful operation in Heek and needed 7.000m² of new concrete flooring. 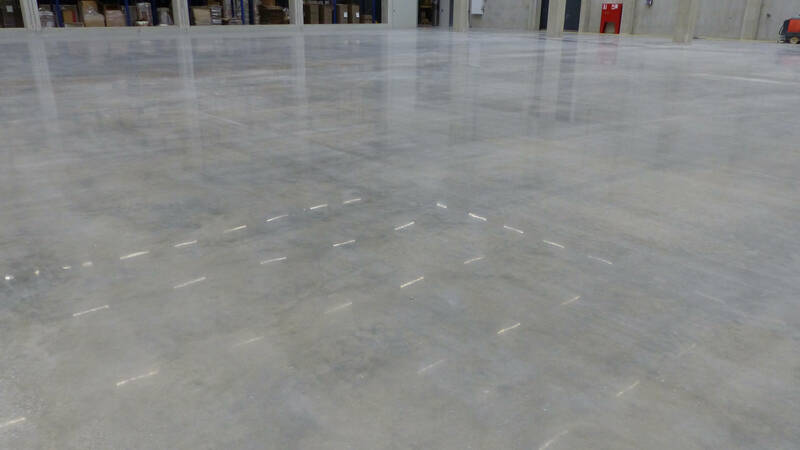 Like any busy warehousing operation, the flooring would suffer from very heavy forklift traffic leaving many tyre marks, scuffs and scars. 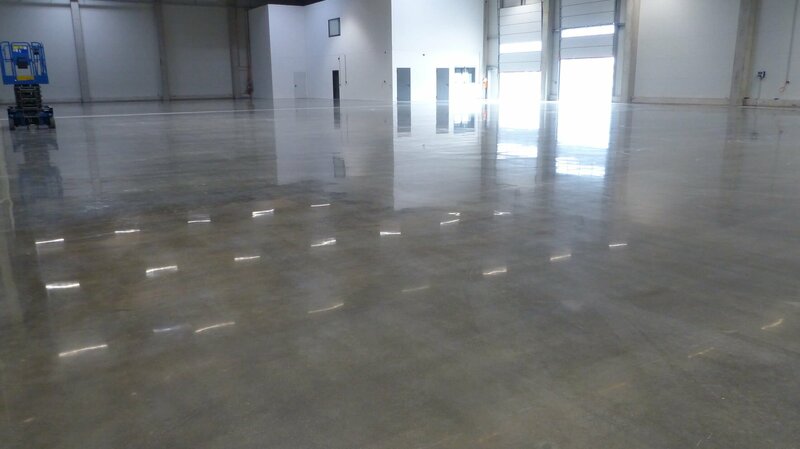 IBS wanted the new flooring to be very durable, easy to clean and with very low maintenance costs. 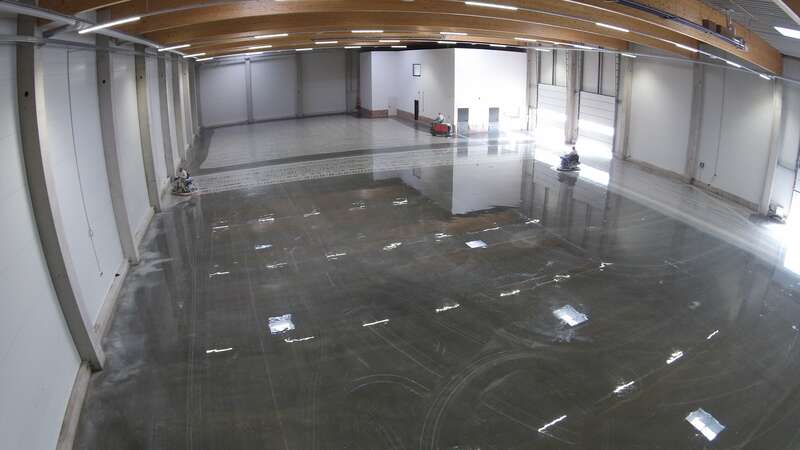 Working with TWINTEC, our partners in Germany, the new concrete floor was laid. 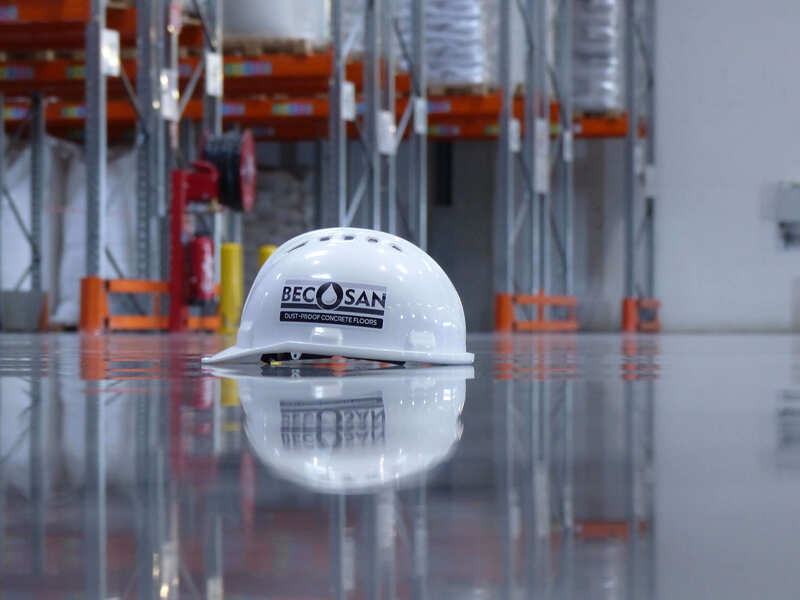 After a 30-day curing period all micro roughness was eliminated from the concrete surface with the BECOSAN grinding and polishing system. 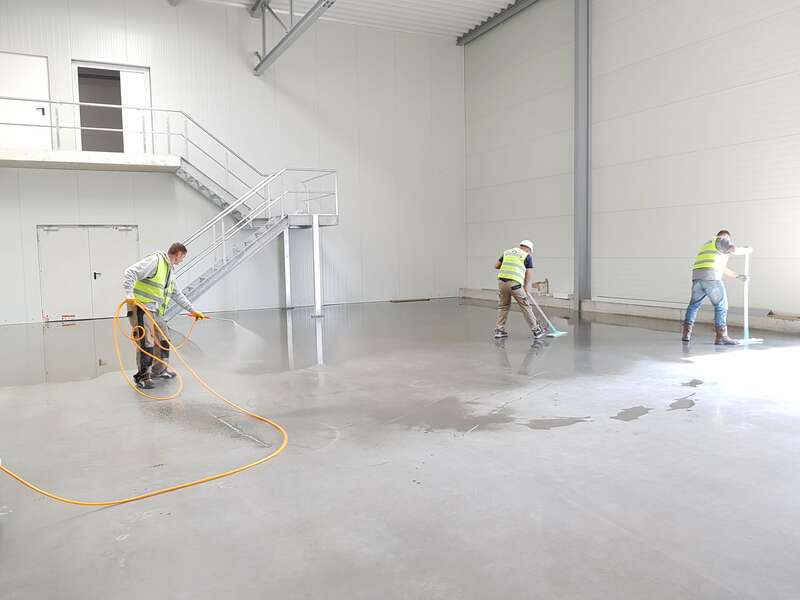 The floor was treated with BECOSAN® Densifier which significantly increased the hardness of the surface, and finally sealed with BECOSAN® Protective Sealer.